Will you fall in love with one of the best amplifiers in the world? With a 150 wpc solid state design heavily biased into class A power, the INNAMORATA employs very little feedback. With the first audio design to use Bybee Labs’s revolutionary Music Rails and quantum AC filtering, we achieve up to -45 db of DC noise reduction. 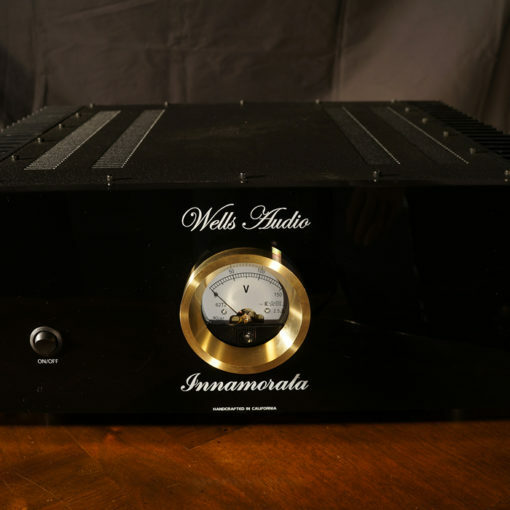 In a sea of like-sounding, washed out, over-dampened amplifiers, the Wells Audio Innamorata reveals detail while intoning the kind of harmonic richness and divine tonal beauty that makes for musical bliss.